The State Theatre in association with Oppikoppi Productions presents the Jazz and African Music Nights. Showcasing the freshest jazz sounds from SA’s best jazz maestros and upcoming talent. 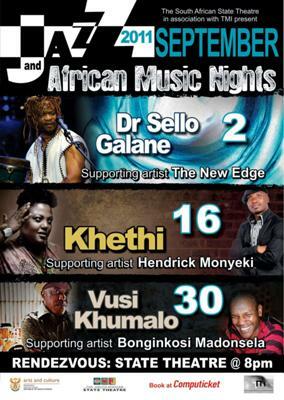 Tickets are R80 @ computicket & R100 @ the door.